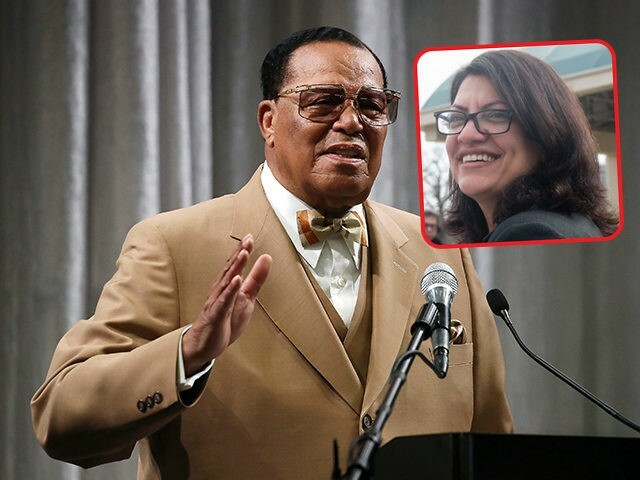 According to a new report, Rep. Rashida Tlaib (D-MI) wrote an article in 2006 for The Final Call, a newspaper and website led by anti-Semite Louis Farrakhan. In an op-ed titled “Bills must stop deportations for minor offenses,” an author identified as Tlaib argues against deporting immigrants for small violations. The article is still live on finalcall.com with Tlaib’s byline as a guest columnist. Concern for “national security” has introduced unprecedented insecurity to living in the United States as a legal permanent resident. When a legal immigrant can be deported for the most minor offenses, like omitting information on a form that at the time seemed irrelevant, or forgetting to change one’s address, can all be used as a basis to be uprooted from your home and taken away from your family and children. Journalist Jeryl Bier first reported on the existence of the piece. The Final Call touts itself as the “official communications organ” of the Nation of Islam (NOI). “Founded by the Honorable Louis Farrakhan, National Representative of The Most Honorable Elijah Muhammad and the Nation of Islam, The Final Call follows in the tradition of Muhammad Speaks, with hard-hitting national and international news and coverage of political issues,” the website’s about page reads in part. Farrakhan, the leader of NOI, is a virulent antisemite who has also expressed hatred for white people and gays and lesbians. And this revelation comes as one of Tlaib’s fellow freshman congresswomen — Rep. Ilhan Omar (D-MN) — is under bipartisan fire for implying that Jews bribe members of Congress to support Israel.